Riots in Berkeley, only the Lord knows what resides in Antifa’s collect heart. Yet we can be sure that what ever it is, it is not love. 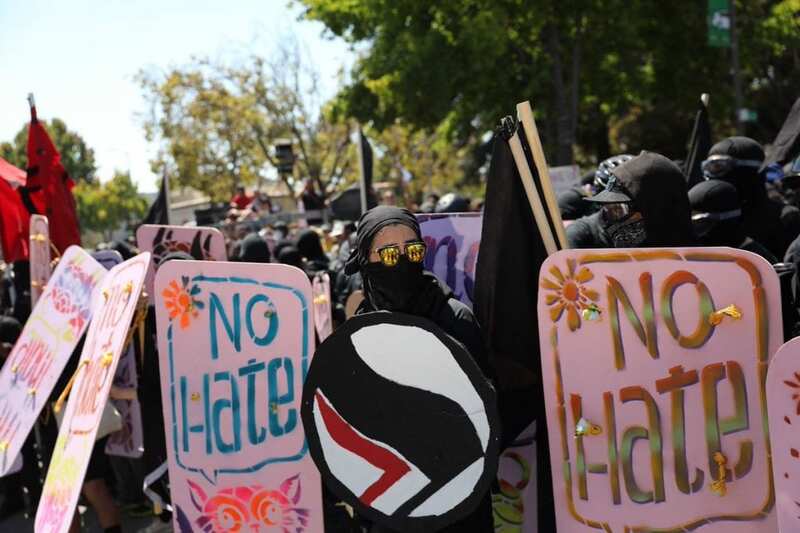 What ever Antifa is selling, it is sure not love, and I for one am not buying it. The far left, Antifa and their toady supporter mayors appear to be entered in a criminal conspiracy to make peaceful protest impossible. Making peaceful protest impossible will make violent protest necessary.